TROY, Mich., May 2, 2018 – Altair (Nasdaq:ALTR) has released the 2018 versions of leading electromagnetic (EM) simulation software FEKO®, WinProp®, Flux® and FluxMotor®. These electromagnetic solver tools, part of Altair’s HyperWorks®, The Platform for Innovation™, are widely used to accelerate the global design process for the automotive, aerospace, defense, communications, consumer electronics, energy, and healthcare industries. “We are excited by the latest release of our electromagnetic tools to support our customers as they move toward broad deployment of products relevant to e-mobility and communications, Industry 4.0 and the Internet of Things. The range of applications covers electromagnetic problems across the whole frequency range from DC into THz, integrated within Altair’s multiphysics modeling environment for multidisciplinary system optimization,” said Ulrich Jakobus, Senior VP for EM Solutions at Altair. The rich set of features in the 2018 release of the HyperWorks electromagnetic simulation solutions portfolio broadens functionality, simplifies workflows, and enhances the user experience. For example, a novel workflow has been implemented in FEKO 2018, that facilitates characterizing multi-layered dielectrics. 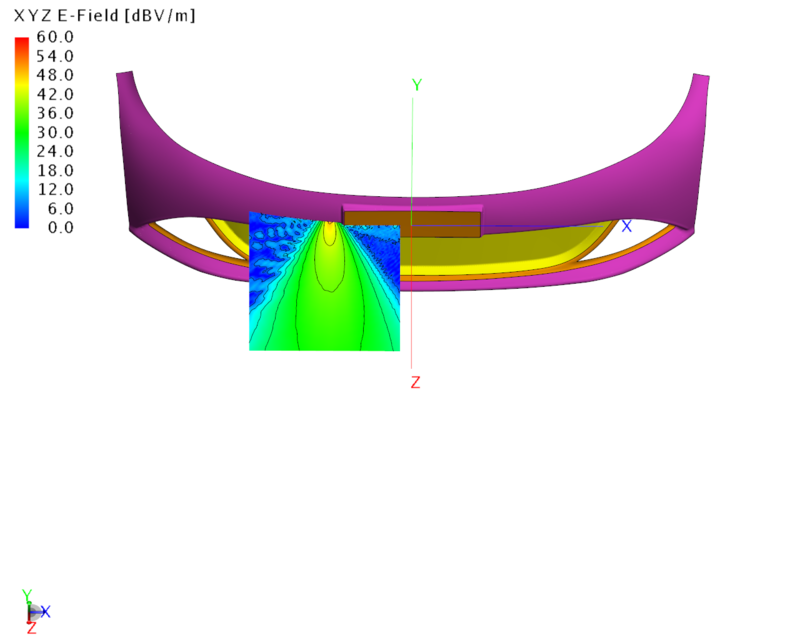 With this, transmission loss and bore-sight error can be computed for arbitrarily shaped radomes more efficiently and with greater flexibility than ever before. Another example is the addition of new features in Flux 2018 bringing new capabilities for CAD geometry simplification and meshing, improving workflow, and increasing flexibility with the ability to solve faster in 3D using new HPC resources.